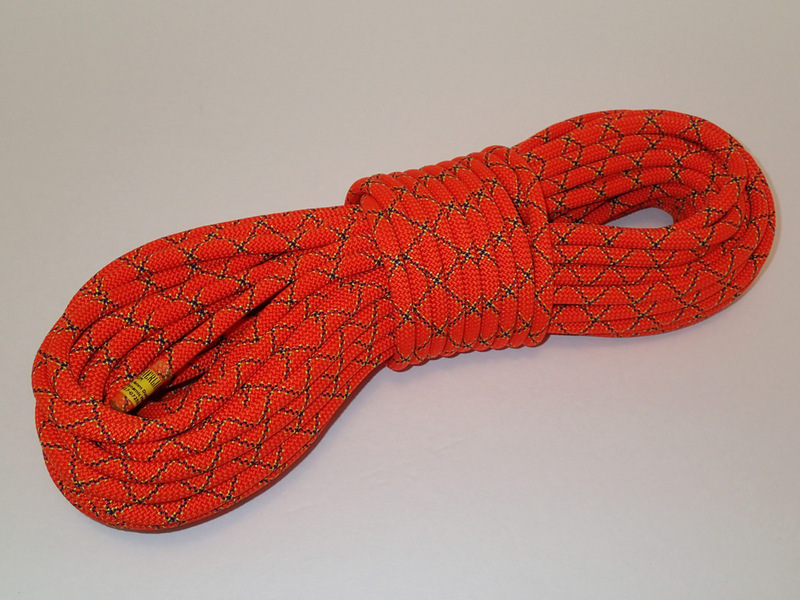 From Sterling Rope, "The Duetto is built to be lightweight with a great hand. The smooth, abrasion resistant sheath glides over the snow and ice and through gear effortlessly. The Evolution Duetto has been used in glacier travel and backcountry skiing for years due to its small diameter and great hand. When the terrain may be varied, the 8.4mm Duetto is a solid rope for rappels, steep snow climbs or traversing mellow ground." The Evolution Duetto alpine touring rope by Sterling Rope features DryCore™ and DryCoat™ technolgy for protection from water and dirt. The kermantle construction features a durable braided sheath and shock-absorbent core. It meets UIAA tests for falls, impact force and elongation. Available in 30 m and 40 m lengths and in three colors: orange, purple, and yellow. Short thin glacier ropes have limited purpose, but are nice for easier glacier routes like on Mt Rainier due to their light weight. 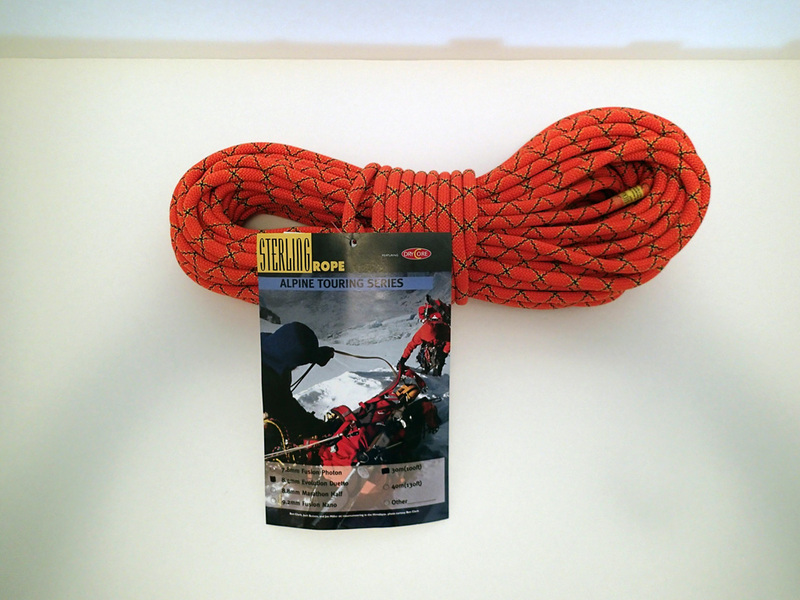 The Evolution Duetto Alpine Touring 8.4 mm x 30 m rope by Sterling Rope is a great value. I found it for under $65 delivered. Just shy of three pounds it will add minimal weight to my pack when needed. The Evolution Duetto is just a hair thicker than competing glacier ropes like the Edelweiss Discover 8 mm, Beal Rando 8 mm, and Mammut 8.3 mm Glacier Line. I like the 8.4 mm size, as it is a little easier to handle than a super-skinny 8mm rope. After playing around with the Evolution Duetto at home, I find it easy to knot and coil. 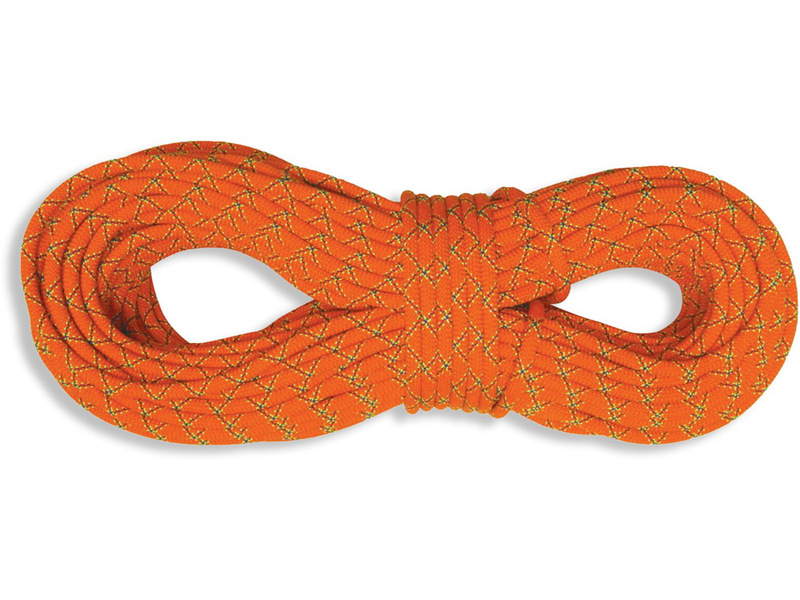 It feels like it would work okay in an ATC belay device even with its slick outer sheath. I like how it feels and love the hi-visibility orange color. It should be perfect for glacier travel and crevasse rescue.